« Next Article: Wikipedia on the Spanish Language: a Goldmine of Resources! » Previous Article: Have you read this? If European culture, and current events and controversy interest you, especially if you'd like to combine those interests with your interest in the Spanish language, you'll enjoy Café Babel. Published in Spanish, English, French, Italian, German, Polish and Catalan, Café Babel describes itself as the "the first multilingual European current affairs magazine". Regular sections include the Brunch With interview series, which this month features an interview with Cuban dissident Martha Beatriz Roquez, as well as international, European and "ideas" news sections and the Tower of Babel, where the site's team of translators compares notes on colloquial expressions and language coincidences. 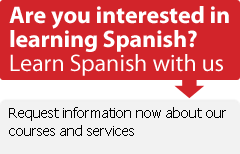 It's worth a look, I think, if you're gathering resources to keep working on your Spanish.